When Kamala Harris ran for state attorney general in 2010, she portrayed herself as a staunch advocate for medical cannabis. Medical marijuana groups, in turn, strongly supported her campaign. In fact, Harris partially owes her narrow victory over Los Angeles District Attorney Steve Cooley, a medical pot skeptic, to her stance on medical cannabis and the backing she received because of it. After all, she only defeated Cooley by about 75,000 votes, or just 0.8 percent of the ballots cast. And yet, despite her campaign pledges and the debt she owes the medical cannabis community, Harris has been conspicuously silent during the nine-month-long federal crackdown on medical marijuana. Harris' silence might be understandable if the federal crackdown was targeting drug gangs and other criminal enterprises, but it's not. Instead, the four US attorneys in California have focused on medical cannabis businesses — such as Oaksterdam University and Harborside Health Center, both in Oakland — that have steadfastly obeyed state and local laws. Indeed, no evidence has yet surfaced that the medical cannabis businesses targeted by the feds have done anything other than violate the federal ban on marijuana. US Attorney Melinda Haag of Northern California admitted as much last week after she launched her attempt to close Harborside. Haag is trying to seize the dispensary's building in an asset-forfeiture proceeding, and in a short statement explaining her actions, she indicated that she does not know whether Harborside has broken any state or city laws. Instead, she said she was going after Harborside because she thinks it must be doing something wrong because it's so large. "The larger the operations, the greater the likelihood that there will be abuse of the state's medical marijuana laws," she stated. Before last week, Haag had maintained that she was only going after medical cannabis businesses that were within 1,000 feet of a school, playground, or park — the implication being that she was trying to shield kids from pot. But her assault on Harborside, which is nowhere near a school, playground, or park, shows that she also is now cracking down on legit, law-abiding operations. The US attorney's actions drew an immediate and public rebuke from one of Oakland's top law enforcement officials — City Attorney Barbara Parker, who also happens to be a former federal prosecutor. "As Oakland's City Attorney and a former Assistant US Attorney, I strongly oppose federal actions against members of Oakland's business community who are complying with California and Oakland laws and regulations and paying their fair share of taxes," Parker said in a statement. Parker also appeared at a press conference in support of Harborside. Other political leaders have also criticized Haag, including Congresswoman Barbara Lee and Betty Yee of the state Board of Equalization. But Harris has refused to say anything, even though as California's top law enforcement officer, it's her responsibility to uphold and enforce state laws — not Haag's. As such, there's an argument to be made that Harris has allowed Haag and the other three US attorneys in California to usurp her authority — they have become California's de-facto attorneys general. Haag, in fact, is proving that she believes they have the right to trample on or enforce California and local laws that permit the sale of medical cannabis whenever they want to. And Harris is letting them do it. But she doesn't have to. She has power if she wants to wield it. As a rising star in the Democratic Party, she is viewed favorably by the Obama administration. So if she were to strongly condemn the federal attack on state-law-abiding businesses, it could carry weight within the US Justice Department. However, her silence is likely having the opposite effect — it's almost assuredly being viewed by federal law enforcement as acquiescence. Oakland Mayor Jean Quan has received a considerable amount of bad press since taking office, and a substantial part of it has been self-inflicted. The most recent example, according to a recent San Francisco Chronicle story, is the revelation that Quan made an inaccurate statement to the Alameda County Civil Grand Jury concerning Oakland's badly backlogged police crime lab. Quan told grand jurors that the FBI was helping clear the backlog when it was not. And her incorrect statement reflects what has become a troublesome pattern for the mayor — asserting something publicly when she clearly doesn't know for sure whether what she is saying is true. 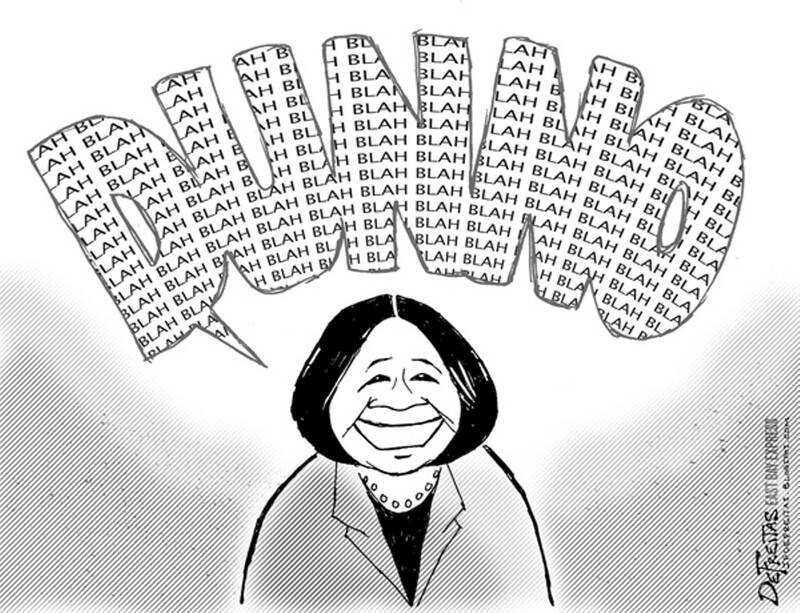 Quan may have gotten away with such conduct as a member of the city council and the school board, but as mayor of a high-profile city, her words and actions are under much greater scrutiny. As such, the mayor needs to be much more careful with what she says. She cannot afford to inflict damage on herself — and, by extension, her office and the city — by making statements that can easily be proven incorrect. Many politicians are afraid of looking ignorant, but leaders should be even more wary of saying something that isn't true. For Quan, that means double- or triple-checking the accuracy of statements told to her before repeating them. Another recent example was the mini-scandal over her repeated misstatements about how much violent crime occurs within the one hundred blocks the city has been focusing on. The mayor said she was given bad information, but also said she's responsible for ensuring the accuracy of the statements she makes. She's right about that. She also should not be afraid to say "I don't know, but I'll let you know when I know for sure." Although some will probably criticize her for not knowing the answer to particular questions, voters are smart: Not many of them are going to expect a mayor of a city with as many problems as Oakland has to know the inner workings of the police department's crime lab. They will care, however, if their mayor claims to know something when she doesn't. By itself, the crime-lab misstatement is not that consequential. It doesn't matter whether Quan knows what's happening in the lab. She's better off delegating those kinds of issues — in this case, to Police Chief Howard Jordan and his direct supervisor, City Administrator Deanna Santana. But by making another inaccurate statement, Quan changed the news cycle from being a question about what to do about the crime lab's problems to being about her again saying something that isn't true.